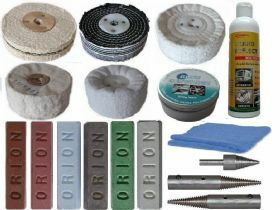 At Polish Up there is a wide range of polishing wheels, compounds, buffing accessories and polishing kits for D.I.Y and professionals alike to choose from. Its a very effective way to achieve a mirror finish on metals. 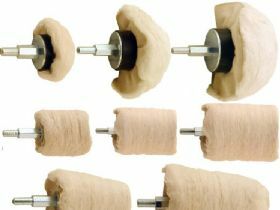 The polishing wheels fit bench grinders, electric hand drills, polishing machines and variable speed angle grinders. Choose from our selection of adaptors and accessories for a simple conversion. 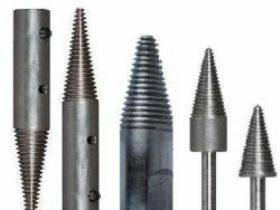 Metals include alloys, aluminium, chrome, stainless steel, steel, copper, brass, precious metals, ferrous and non ferrous metals and jewelery. 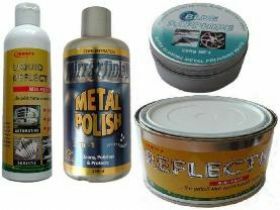 Polish your Harley, car, truck, boat fixtures and fittings to a mirror finish.